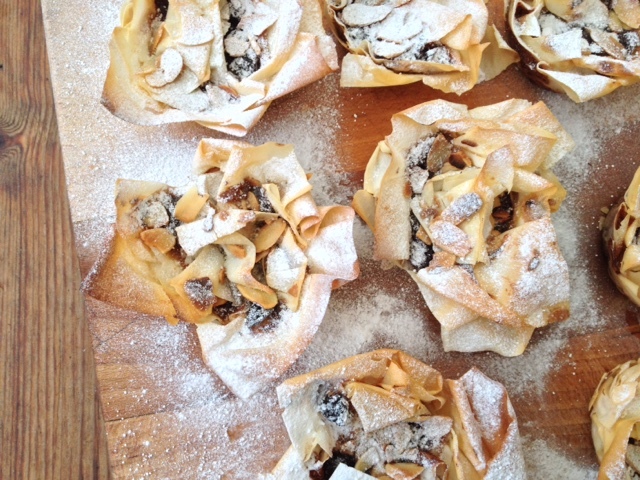 These mince pies are the ultimate indulgence and so easy to make! 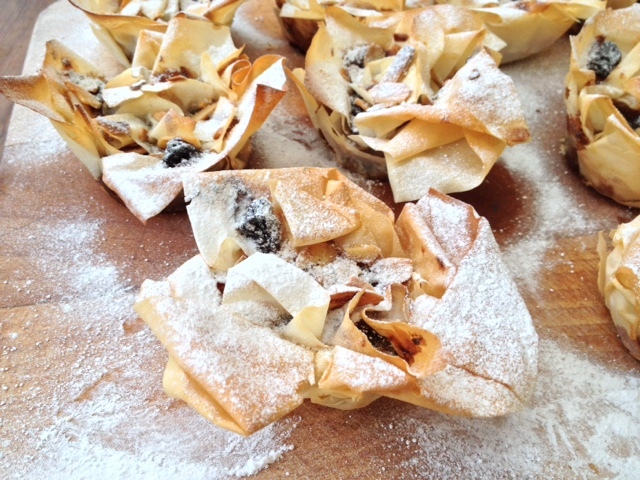 Plus I'm also going to share my cheats uber pimped mincemeat recipe with you all! 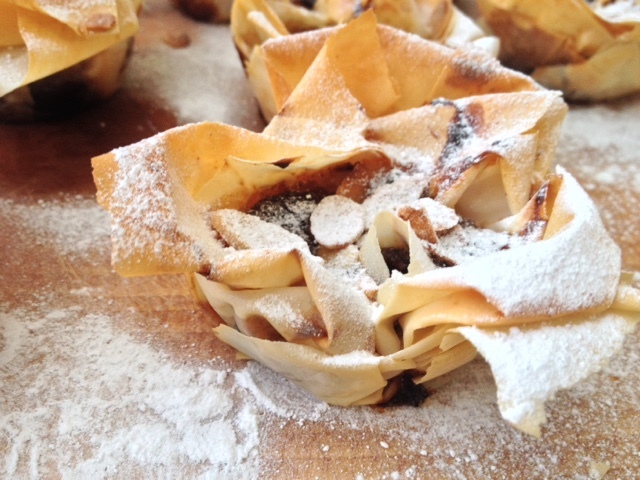 You will need: Filo pastry (shop bought). 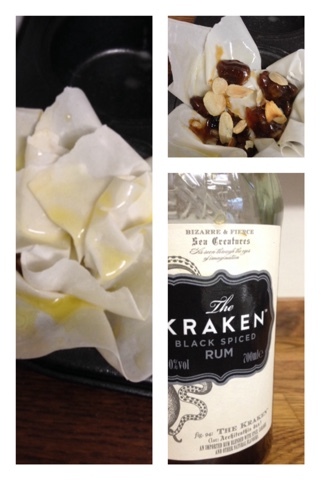 1tbsp The Kraken black rum. Start by emptying the jar of mincemeat into a bowl and add to it the rum and the orange zest, mix well and put to one side. Next toast the almonds in a dry pan constantly moving until they turn lightly golden. Melt the butter and set to one side. Tear a strip of filo and scrunch it lightly into the tin, brush with butter, add a teaspoon of the mincemeat mix, add a few almonds, then repeat again till you have 2 to 3 layers on your pie. Once filled finish with toasted almonds and bake in the middle of the oven set at gas 5 for approximately 20 mins or until golden brown. Leave to cool in the tray completely, then dust with icing sugar, yum!